Iflexion provided online store development services for a fashion retailer to support their city center store and boost sales. The Customer is an established fashion retailer offering a wide range of world-class brands. The company decided to move their business forward by launching a robust online store integrated with their internal corporate systems. The Customer was looking for a company with a vast experience in ecommerce development to implement an efficient ecommerce website addressing their specific needs. Finally, Iflexion’s team was chosen to perform the task. In accordance with the Customer’s needs, Iflexion’s team took up the fashion ecommerce store development to cover every aspect of searching and purchasing apparel and accessories. The user can create their personal account and make changes to it, search items from a voluminous catalog and filter them by various categories. A single-page checkout implemented by our team allows clients to reduce the time spent on a purchase. After placing an order, the user can track it in real time. To engage existing customers and attract new ones to the online store, we implemented a subscription option for the company’s latest news and special offers, as well as a feature that lets the system select fashion items for a user based on the user’s information. As it was important for the Customer that internal systems should work in tune with their new ecommerce website, Iflexion’s team integrated the developed online store with 3rd party corporate solutions, such as 1C ERP, Master Data Management (MDM), and a CRM system. 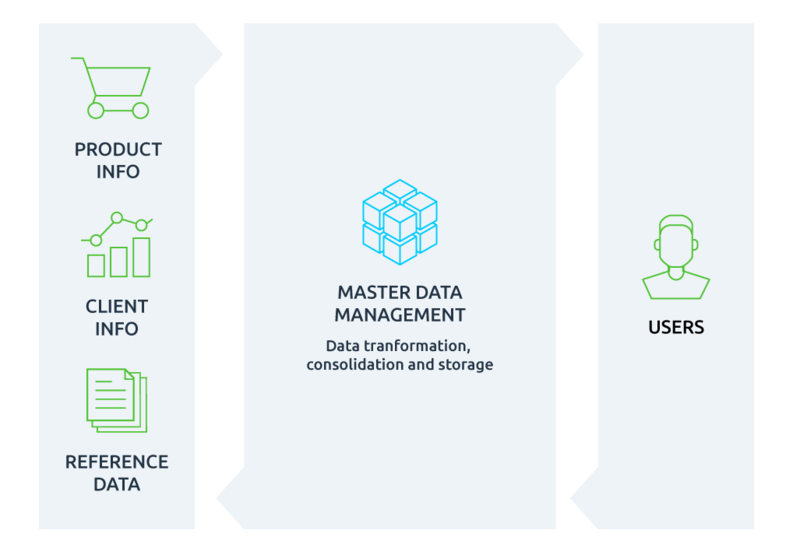 Iflexion also created an MDM solution that collects, consolidates, and distributes data to other systems to enable working with shared information used by multiple system applications. Data exchange is performed via asynchronous messages using IBM WebSphere MQ, IBM’s message-oriented middleware. It allows for the complete system connectivity, when each system has the same data structure of product hierarchy, reference information, localization, etc. So when a new product or a category is added to the MDM, it is automatically exchanged with the other systems. Iflexion worked in cooperation with a distributed project team, which involved the Customer’s internal team and third-party teams, including IBM representatives. We performed daily and weekly stand up calls and meetings to maintain the communication process, discuss the project scope and plans, and keep the Customer updated on the project progress. To execute testing step by step instead of testing the whole system at once, our team decided to apply Scrum practices and split the process into 6 testing sprints, thus, making the testing process transparent, traceable, and thus efficient. We chose Magento Enterprise Edition as the main platform for the online store development due to its high-performance characteristics, various customization options, enhanced catalog, shopping cart, and content management features. In the course of 6 months, Iflexion’s team tackled the fashion ecommerce store development in accordance with all the Customer’s requirements and expectations. The ecommerce website features intuitive user interface, rich product catalogs with filters, necessary functionality for clients and employees, as well as integration with the Customer’s corporate systems and the whole system connectivity. The Customer’s ecommerce website successfully went live and demonstrated stable work without fail. There are more than 20 thousand active users monthly, and the number is growing constantly. Happy with the results of this ecommerce web development project, the Customer is planning to continue working with Iflexion’s team in future. Iflexion helps Sleepers in Seattle to boost sales drastically by implementing a duet of dynamic fully-fledged ecommerce websites geared by a single powerful platform. Iflexion helped the Customer launch a custom iOS application to make their buying portal mobile-friendly and expand their market reach.